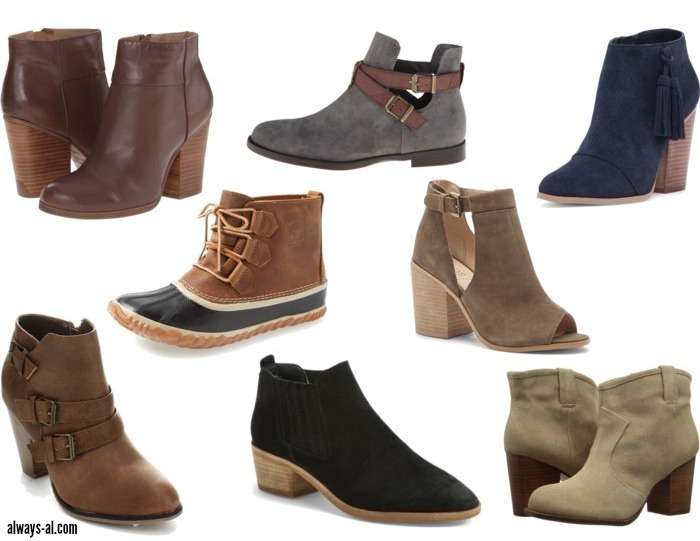 Is anyone else as totally obsessed with booties as I am? A few weeks ago I scored a pair of black leather booties by Dolce Vita (similar to the ones pictured) at a consignment store in Richmond for $39, and ever since I have pretty much only taken them off to sleep and bathe. They are my babies. Okay, that might be a sliiiiiight exaggeration. But I love how booties wear. You can wear them with skinny jeans, with mini skirts, and with my favorite t-shirt dresses. I even am comfortable wearing a stacked heel all day long, which is something I normally would hate doing due to comfort. With the holidays coming up, I thought I would round up some of the pretty things for your feet that I've been looking at lately. Feast your eyes on these pretties. Happy Friday, friends! I hope everyone has a very fun, safe Halloween, and eats lots of delicious treats! !